Many ardent exercise enthusiasts would love nothing more than to work out with their pet. They envision themselves staying fit not to mention sharing adventures and exploring new horizons together. They do not realize forced exercise would be causing a lifetime of serious damage and pain for their pet. 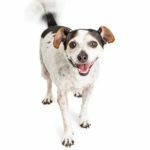 Before you unintentionally cause serious injury and probably permanent damage to your puppy or young dog’s joints and bones, there are a few things you should know. First and foremost, never allow forced exercise any puppy under the age of 6 months. Forced exercise is any repetitive motion, for an extended period of time, which causes stress on developing joints and bones. That includes jogging, biking, rollerblading, skateboarding or even sled/cart pulling. 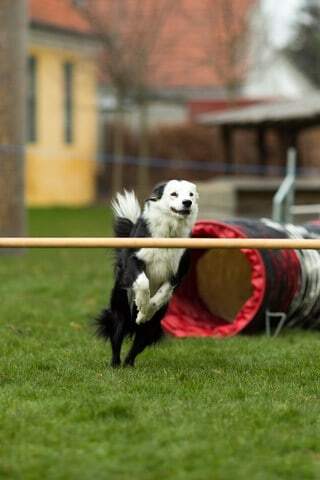 Not all dogs or breeds are capable of extreme endurance and forced exercise. Special attention needs to be paid to the types and amount of exercise brachycephalic breeds (i.e. short head) for example Boxers, English Bulldogs, French Bulldogs, Boston Terriers and Pugs can handle. Large and giant breeds, such as Great Danes, Irish and Russian Wolfhounds and Mastiffs also require unique considerations when working up an owner/dog exercise program. As with human babies, puppies have growth plates that have to form and seal. It is called an epiphyseal scar. If the hardening of soft area where bone growth originates is not allowed to happen, it causes your puppy’s or young dog’s bones to bow, because they do not match at the ends with the connecting bone. The epiphyseal plate is a cartilage plate at the end of the long bones. It can also be the location of endocrine bone disorders, fractures, metastasis and even infection. Dogs have 14 sets of growth plates. With small to medium sizes dogs, the process usually takes 12-16 months. 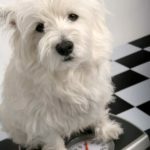 With dogs that will weigh100 pounds, it frequently takes at least 18 months for the process to complete. Most reputable breeders and veterinarians believe large and giant breeds may not complete the process until they are approximately 2 years old. Be patient. 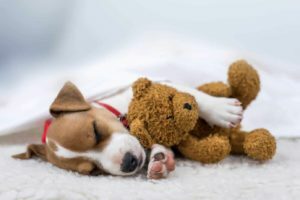 By starting your dog too young, you most likely will cause concussive damage such as fractures or joint damage that may result in arthritis, elbow and hip problems. If you’re planning serious exercise with your dog, consider having your puppy or young dog x-rayed so there is a baseline from which to work from. With that, your veterinarian will be able to estimate how long you should wait for the plates to close and you can start exercising with your dog. 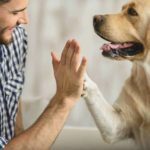 While you are waiting for your pet to mature, you can work on their endurance. Concentrate on their cardiovascular and muscular development with non-stressful exercises such as swimming. 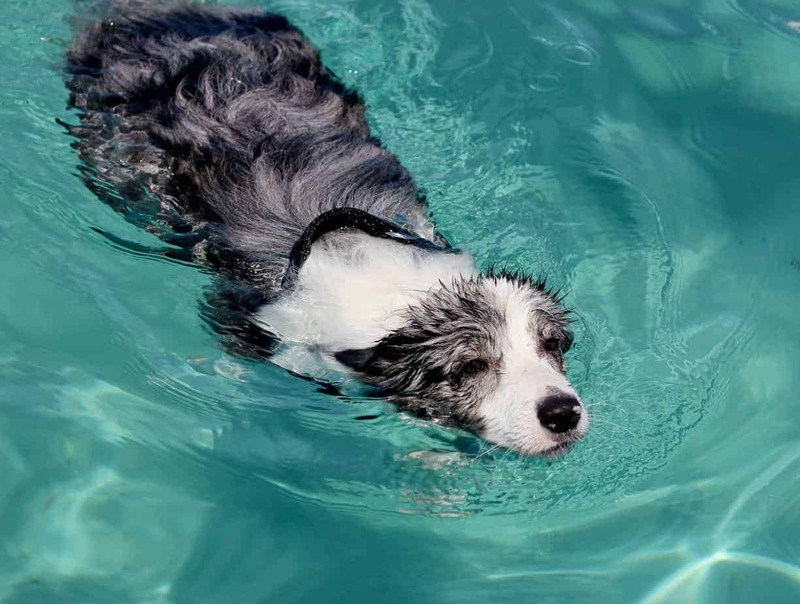 Swimming is a fantastic way to get and keep your dog in shape, without straining bones and joints. 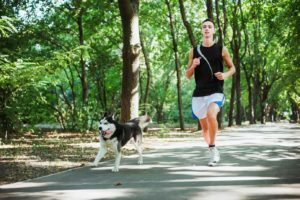 It’s also a wonderful way continue exercising with your dog in their senior years, when they can no longer join you on those runs. Once you get the go-ahead from your veterinarian, start slowly. Don’t expect your puppy or dog to keep up with your usual distance and speed immediately. They have to gradually work up to it. Watch for heavy panting, limping and whimpering. Your dog may be in distress or pain. Carry plenty of water. Find a shady spot. Give only a little water at a time. Dogs don’t cool down by sweating as we do. They need water to keep from overheating, dehydration and heat exhaustion. Do runs only during the coolest times of the day. Do not feed your pet immediately before or after their run. You risk cramping and Gastric Diliation-Volvulus (GDV), commonly known as “bloat.” GDV is the second natural cause of death for dogs. Check their paws and pads periodically. It’s much easier and more comfortable for them to be able to get back home from a shorter distance. If your dog shows signs of limping, is unable to get comfortable in certain positions, noticeably keeps shifting their weight, whines, appears in pain, shows no interest in joining you, or does not want to be touched in certain areas, get them to your veterinarian. If you’re lucky, too much damage has not been done, and your dog has not been sentenced to a life of chronic pain.